As terrestrial beings, human beings have perpetually romanticised the ability to see things from on high. Climbing trees and mountain is one example. Dancing among the clouds is another one; the unique ability of birds that eludes us; flight, has long been something programmed in our DNA to desire. We live in a time now where we experience that, not by our biological evolution, but by being inside engineered vessels designed to ascend into the skies. The Wright brothers often get all the credit for pioneering flight and the creation of the airplane in 1903. But it was 120 years prior that in 1783 when the Montgolfier brothers successfully saw their invention, the hot air balloon, rise to the skies over Paris. While not flight in the same sense of direction and propulsion that the Wright brothers had made in the airplane, it was still nonetheless a landmark moment when humans took to the sky. The science behind hot air balloons is built around a fairly basic principle. Hot air is lighter than colder air because it has less mass per unit of volume. A cubic foot of air weighs roughly 28 grams — if you heat that air to around 40 degrees celsius, it drops in weight to around 21 grams. With this calculation in mind, each heated cubic foot of air can lift 7 grams. It’s not much — and this is why hot air balloons are so huge. To lift roughly 450kg, 65,000 cubic feet of air needs to be heated. The ‘balloon’ part of the hot air balloon is in fact called an envelope, responsible for containing this heated air. It is usually made from nylon fabric or Dacron, with the parts closer to the open flame of the burner made out of Nomex, a fire-resistant material. Beneath the envelope suspended by wires is what is a wicker basket or gondola to carry human passengers, which the standard is usually two to three. Some however, are capable of holding up to 16 people. The burner unit is usually filled with liquid propane that is gasified when expelled. When the propane combines with air, the pilot will ignite the pilot light to create the flame. Pilots operate this burner by opening a blast valve. The sound that the flame creates is usually quite loud, and hot air balloons that take off and land in rural areas were often known to spook local livestock. Burners may have a secondary valve known as ‘Whisper burning’ which release propane at a slower rate than normal. This also tends to generate a more yellow flame and is used for effects at night that require a more ambient glow. Modern engineering and advances in technology have allowed records of height and distance to be achieved by hot air balloons. The world record for the highest hot air balloon flight was set by Vijaypat Singhania in 2005. He reached 21,027 metres, taking off from Mumbai and landing 240km south in the village of Panchale. In 1991, the Virgin Pacific Flyer, piloted by Richard Branson and Per Listrand departed from Japan and flew 7,671 kilometres to Northern Canada, reaching speeds of nearly 400km/h. The special part of the Virgin Pacific Flyer wsas its enormous envelope size (2.6 million cubic feet) as well as its design to accomodate for jet streams over the oceans. Festivals celebrating the hot air balloon take place across the world. Two very popular ones include the Bristol International Balloon fiesta in the UK, to the Albuquerque International Balloon fiesta in New Mexico, USA. The cool air temperatures and predictable wind patterns essentially create a cycle where low elevations experience northern winds, and at higher elevations, they switch to a southerly direction. It essentially allows pilots to exploit this to travel in the air in laps, ascending, moving south, ascending further, moving north, descending, and repeating the box pattern motion. A popular activity that invites this sort of flying is the key grab, where pilots attempt to grab prizes (like a set of keys to a car) from atop tall flexible poles in the air. 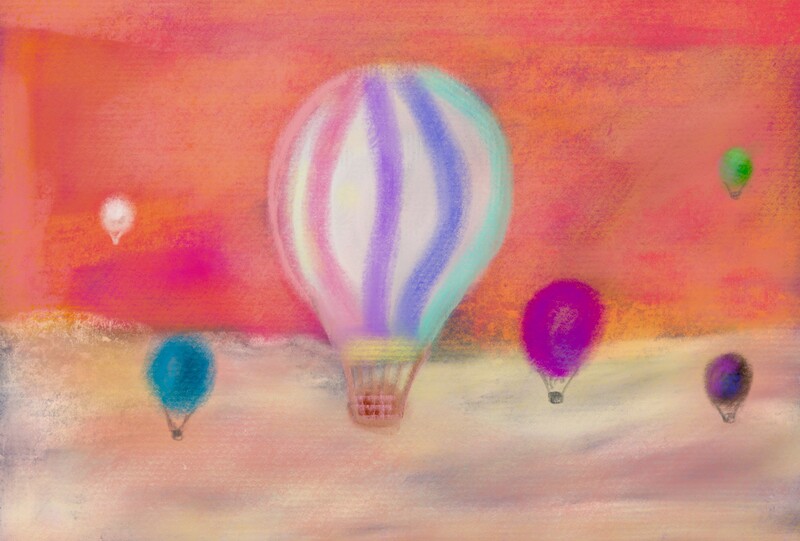 The hot air balloon is a romantic way to experience the sky, floating wistfully above the ground and taking in the sights of the world beneath you. No windows, no engines, no wings beating — just a basket, a flame and hot air to lift you from the ground.